My Last Oil Change at Western - EVER! So in July I had my oil changed at Western Nissan in Moose Jaw. On July 14th I was about to go on a trip and noticed that my oil level was low. I was shocked as I had not put on more than a few kilometers since my oil was changed and could not understand why it was low. I returned to the dealership and the service guy proceeded to tell me that it was low because the oil was now in the filter and other components and that is why it was reading low. When I asked him if they only fill it to the minimum level he then said I must have an oil leak. I assured him it was not leaking any oil as the truck was in mint condition. He the proceeded to tell me I was burning oil. I assured him that my vehicle does not burn any oil. He then looked up my vehicle appointment on the computer and told me they had never done an oil change. I told him the date I was in and he then said I never showed for my appointment. I told him I had a paid invoice in my truck to prove him wrong. I then asked to purchase a litre of oil so that I could fill the crankcase to the proper amount. He replied they only had bulk oil and did not sell it by the litre. When I asked him to write down the brand and weight of oil for me so that I could purchase a litre at Canadian Tire he sighed and finally offered to top off my oil to the proper level. End of story? Nope. When I got home and parked on a level surface I again checked my oil only to find it overfilled. Well Western Nissan....do you think I will ever come back again? 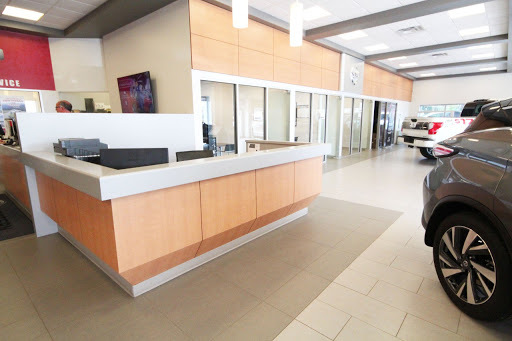 This is an excellent dealership to do business with! I bought a New Murano from them after shopping around. I told Joe Blondeau, my salesman, the best price I had found for the same vehicle at another dealership and asked if he could beat it. Being client-oriented, he was able to get the deal done. Joe was very easy to deal with as he was not high pressure at all. A blemish was found on the dash before I took receipt of the vehicle. Joe assured me Western Nissan would fix it ASAP (and they did). I have had my Murano for almost three weeks and dont regret purchasing it, nor do I regret purchasing it from Joe and the other fine folks at Western Nissan. Nissan does have many best value in class vehicles in its line up and something interesting no matter what you are looking for. Youll travel a long way to find anyone else who offers a $10,000 car in their line up, and you probably wont find one on the lot...and if it is available, good luck getting a dealer to bring one in for you. But Western Nissan came through with exactly that for me! And I have to say it has quite a few little extras I didnt expect on a $10,000 base! Im a little peeved at Western Nissan tho, they did not insist on up selling me... and the new car I bought isnt equipped with remote start and winter is on its way! Simply the best and friendliest staff a person could ask for. Keegan Quan is professional, friendly and knows his product... makes the whole processes ess a good time and you can really tell the guy cares! Management made the process seamless but thorough. Excellent! Ive dealt with the service department for years and Kevin Whelan is the best and the whole department is great- from wash bay to the top... always know what youre getting. Would highly recommend the product and staff- its not easy finding people like Western Nissan has. Theyre doing it right and you wont regret trying them out! Hats off to the Service desk for their honesty and knowledge. Its bringing me in from Regina! Friendly staff an efficient service ! !